Some architecture in the area dates back a thousand years, such as the church in the Rennes-le-Chateau parish, which was dedicated to Mary Magdalene in 1059. It was renovated in the late 1800s by the local priest, Berenger Sauniere, though the source of his funds at the time was controversial (see below) and some of the additions to the church appear unusual to modern eyes. One of the new features added to the church was an inscription above the front door, which said, Teribilis es locus iste. Inside the church, one of the added figures was of the demon Asmodeus which was reputed to govern 72 inferior demons and some authorities say was the inspiration for the Satan character. 72 is the conventional number of scholars translating the Septuagint, according to the legendary account in the "Letter of Aristeas", the conventional number of disciples sent forth by Jesus in Luke 10 in some manuscripts (seventy in others), the number of names of God, according to Kabbalah (see names of God in Judaism), the Shemhamphorasch related to the number of the names of God, the total number of books in the Holy Bible in the Catholic version if the Book of Lamentations is considered part of the Book of Jeremiah, the number of warriors on the Muslim side at the Battle of Badr, the number of people martyred along with Imam Hussain at the Battle of Karbala, the number of soldiers who will fight alongside Imam Mahdi against the Dajjal, according to Islamic ahadith, the number of virgins a Muslim might get as a reward in Heaven, according to some critics of Islam. 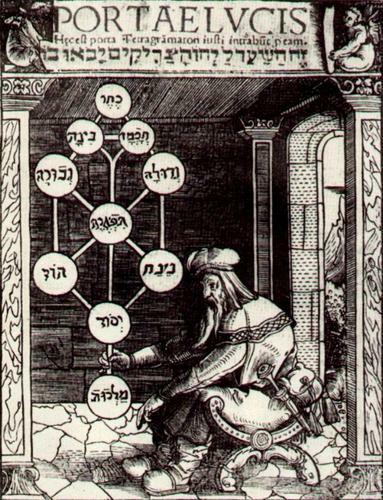 This proves that Saunière was someway linked to Kabbalah, Judaism and Islam. The so-called Letter of Aristeas is a pseudepigraphical Hellenistic work. Josephus (Antiquities XII:ii passim) ascribes to Aristeas a letter, written to Philocrates, describing the Greek translation of the Hebrew Law by seventy-two interpreters sent into Egypt from Jerusalem at the request of the librarian of Alexandria, resulting in the Septuagint translation. Over twenty manuscripts of this letter are preserved and it is often mentioned and quoted in other texts. The work relates how the king of Egypt, presumably Ptolemy II Philadephus, is urged by his librarian Demetrius of Phalarum to translate the Pentateuch. The king responds favorably, including giving freedom to Jews who had been taken into captivity by his predecessors and sending lavish gifts (which are described in great detail) to the Temple in Jerusalem along with his envoys. The high priest Eleazar chooses exactly six men from each of the 12 tribes, giving 72 in all; he gives a long sermon in praise of the Law. When the translators arrive in Alexandria the king weeps for joy and for the next seven days puts philosophical questions to the translators, the wise answers to which are related in full. The 72 translators then complete their task in exactly 72 days. The Jews of Alexandria, on hearing the Law read in Greek, request copies and lay a curse on anyone who would change the translation. The king then rewards the translators lavishly and they return home. The author is noticeably pro-Greek, portraying Zeus as simply another name for Hashem, and while criticism is lodged against idolatry and Greek sexual ethics, the argument is phrased in such a way as to attempt to persuade the reader to change, rather than as a hostile attack. The manner in which the author concentrates on describing Judaism, and particularly its temple in Jerusalem could be viewed as an attempt to proselytise. 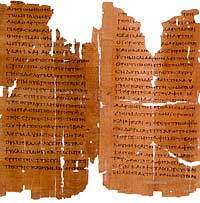 A main goal of the author seems to be to establish the superiority of the Greek Septuagint text over any other version of the Hebrew Bible. Early philological analysis claimed the letter was a forgery. In 1684, Humphrey Hody published Contra historiam Aristeae de LXX. interpretibus dissertatio, in which he argued that the so called "Letter of Aristeas" was the late forgery of a Hellenized Jew, originally circulated to lend authority to that version. Isaac Vossius (1618-1689), who had been librarian to Queen Christina of Sweden, published a rebuttal to it, in the appendix to his edition of Pomponius Mela. Pomponius Mela, who wrote around AD 43, was the earliest Roman geographer. His little work (De situ orbis libri III.) is a mere compendium, occupying less than one hundred pages of ordinary print, dry in style and deficient in method, but of pure Latinity, and occasionally relieved by pleasing word-pictures. 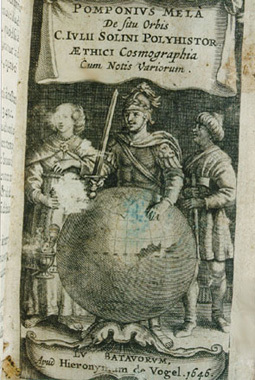 Excepting the geographical parts of Pliny's Historia naturalis (where Mela is cited as an important authority) the De situ orbis is the only formal treatise on the subject in classical Latin. Nothing is known of the author except his name and birthplace--the small town of Tingentera or Cingentera in southern Spain, on Algeciras Bay (Mela ii. 6, § 96; but the text is here corrupt). The date of his writing may be approximately fixed by his allusion (iii. 6 § 49) to a proposed British expedition of the reigning emperor, almost certainly that of Claudius in AD 43. That this passage cannot refer to Julius Caesar is proved by several references to events of Augustus's reign, especially to certain new names given to Spanish towns. Mela has been without probability identified by some with L. Annaeus Mela of Corduba, son of Seneca the rhetorician, and brother of the great Seneca. The general views of the De situ orbis mainly agree with those current among Greek writers from Eratosthenes to Strabo; the latter was probably unknown to Mela. But Pomponius is unique among ancient geographers in that, after dividing the earth into five zones, of which two only were habitable, he asserts the existence of antichthones, inhabiting the southern temperate zone inaccessible to the folk of the northern temperate regions from the unbearable heat of the intervening torrid belt. On the divisions and boundaries of Europe, Asia and Africa, he repeats Eratosthenes; like all classical geographers from Alexander the Great (except Ptolemy) he regards the Caspian Sea as an inlet of the Northern Ocean, corresponding to the Persian and Arabian (Red Sea) gulfs on the south. The shores of Codanus sinus in red with its many islands in greenHis Indian conceptions are inferior to those of some earlier Greek writers; he follows Eratosthenes in supposing that country to occupy the south-eastern angle of Asia, whence the coast trended northwards to Scythia, and then swept round westward to the Caspian Sea. As usual, he places the Rhipaean Mountains and the Hyperboreans near the Scythian Ocean. In western Europe his knowledge (as was natural in a Spanish subject of Imperial Rome) was somewhat in advance of the Greek geographers. He defines the western coast-line of Spain and Gaul and its indentation by the Bay of Biscay more accurately than Eratosthenes or Strabo, his ideas of the British Isles and their position are also clearer than his predecessors. He is the first to name the Orcades or Orkneys, which he defines and locates pretty correctly. Of northern Europe his knowledge was imperfect, but he speaks of a great bay ("Codanus sinus") to the north of Germany, among whose many islands was one, "Codanovia," of pre-eminent size; this name reappears in Pliny the Elder's work as Scatinavia. Codanovia and Scatinavia were both Latin renderings of the Proto-Germanic *Skaðinawio, the Germanic name for Scandinavia. Mela's descriptive method is peculiar and inconvenient. Instead of treating each continent separately he begins at the Straits of Gibraltar, and describes the countries adjoining the south coast of the Mediterranean; then he moves round by Syria and Asia Minor to the Black Sea, and so returns to Spain along the north shore of the Euxine, Propontis, etc. After treating the Mediterranean islands, he next takes the ocean littoral--to west, north, east and south successively--from Spain and Gaul round to India, from India to Persia, Arabia and Ethiopia; and so again works back to Spain round South Africa. Like most classical geographers he conceives the Dark Continent as surrounded by sea and not extending very far south. The first edition of Mela was published at Milan in 1471; the first good edition was by Vadianus (Basel, 1522), superseded by those of Voss (1658), J Gronovius (1685 and 1696), A Gronovius (1722 and 1728), and Tzschucke (1806-1807), in seven parts (Leipzig; the most elaborate of all); G Paithey's (Berlin, 1867), gives the best text. The English trans. by Arthur Golding (1585), is famous; see also EH Bunbury, Ancient Geography, ii. 352?368, and D Detlefsen, Quellen und Forschungen zur alten Gesch. und Geog. (1908). Christina of Sweden: a link with Rennes-le-Château? Christina (Kristina) (December 8, 1626 – April 19, 1689), later known as Maria Christina Alexandra and sometimes Countess Dohna, was Queen regnant of Sweden from 1632 to 1654. She was the only surviving legitimate child of King Gustav II Adolf (the king had already had two sons, one of whom was stillborn and the other lived only one year). As the heiress presumptive, at the age of 6, she succeeded her father to the throne of Sweden upon his death at the Battle of Lützen (November 6, 1632) during Sweden's intervention in Germany in the Thirty Years' War. After having converted to Catholicism and abdicated her throne, she spent her latter years in France and Rome, where she was buried in St. Peter's Basilica. 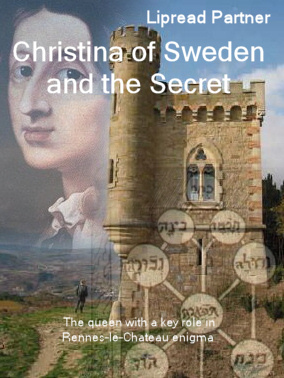 Christina was born in Stockholm and her birth occurred during a rare astrological conjunction that fueled great speculation on what influence the child, fervently hoped to be a boy, would later have on the world stage. 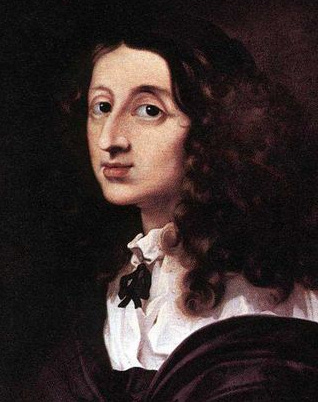 In 1656 Christina planned to become Queen of Naples. Her plans involved the help of French military. She had made an agreement with Cardinal Mazarin. Apartments were assigned to her at Fontainebleau, where she committed an action which has indelibly stained her memory and for which in other countries (says her biographer) she would have paid the forfeit of her own life. This was the execution of an Italian, Monaldeschi, her master of the horse who had betrayed Christina's plans in the autumn of 1657. He was summoned into a gallery in the palace; letters were then shown to him, at the sight of which he turned pale and entreated for mercy; but he was instantly stabbed by two of her own domestics in an apartment adjoining that in which she herself was. The killing of Monaldeschi was legal since Christina had judicial rights over the members of her court. It was however seen as murder. The French court was justly offended at this atrocious deed; yet it met with vindicators, among whom was Gottfried Leibniz. Christina sensed that she was now regarded with horror in France, and would gladly have visited England, but she received no encouragement for that purpose from Cromwell. She returned to Rome and resumed her amusements in the arts and sciences. Christina's reign was controversial, and literature circulated during her lifetime that described her as participating in multiple affairs with both men and women. This, along with the emotional letters that she wrote to female friends, has caused her to become an icon for the lesbian community. What is the mysterious link between Christina and Rennes-le-Château? Christina made an agreement with Cardinal Mazarin. But Mazarin was linked with Nicolas Poussin. Did they share the secret of Rennes-le-Château? Was it linked to Kabbalah? This hypotesis should evaluated with care.